There are 600 million chess players in the world. If you’re one of them, and you’re looking to be better than the rest, then this is the download for you! 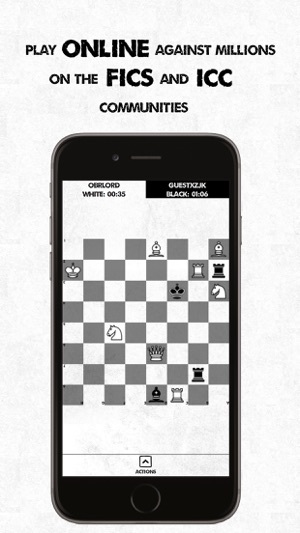 Noir Chess has the modest goal of being the best chess training app in the app store. 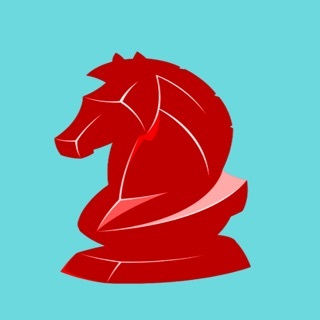 We’re sharing training techniques you would get from private chess lessons for free in this app! Our goal is to improve your chess memory, board awareness, ability to visualize the board and see tactics, and your overall chess skill. 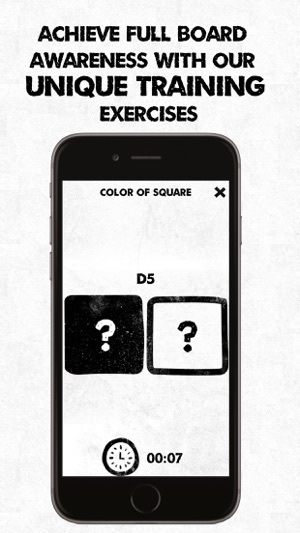 Exercises are appropriate for all levels, from new players all the way up to titled masters; there is something in this app for everyone. Your progress will be tracked by earning stars as your skill improves in each exercise. Even titled players will struggle to achieve all of the stars, so you just might be the next world champion if you manage to earn them all! 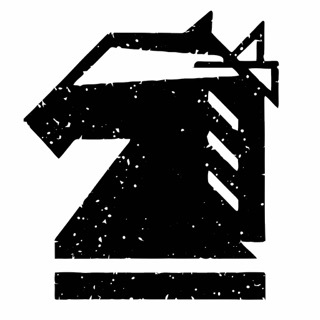 In addition to our chess coaching-inspired training exercises, Noir Chess also includes traditional tactics, as well as text-based tactics that force the player to visualize the position before trying to enter the solution. 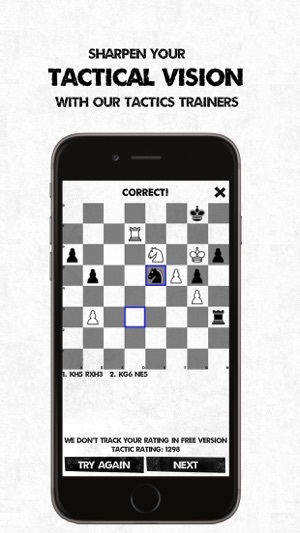 You can also use your Internet connection to play live games against opponents on the popular Free Internet Chess Server (FICS) and Internet Chess Club (ICC). You will be able to create and accept games on both of those services. 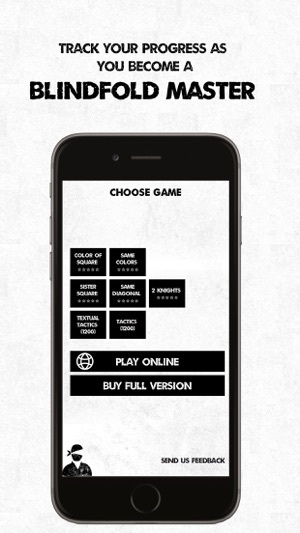 You can choose to use standard pieces, colored tokens, neutral tokens, or no pieces at all to improve your blindfold technique. Note that a stable connection is required to play games online. 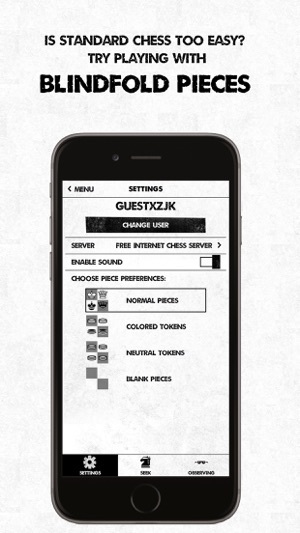 Have fun, and please send us feedback via the app or on our site at www.noirchess.com. 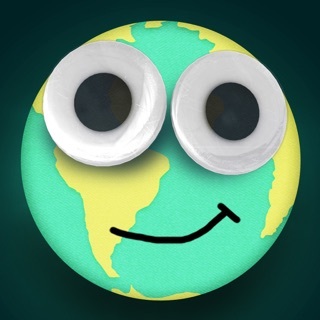 We are continually striving to improve this app! - Option to send PGNs by email. 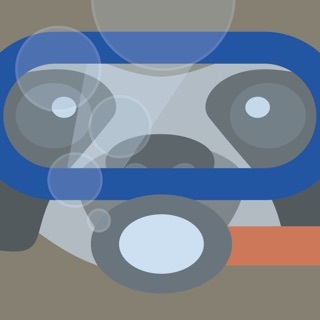 Great app but could use some customization settings. I like the app but I wish I could take the pieces off the board for the coordinates option. Great for learning/practicing blind chess, and it has a few other training games I haven't checked out. 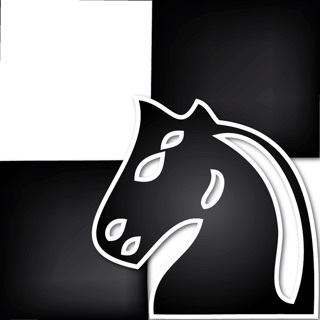 Fantastically useful app not only for blinded chess, but training board visualization.